Locking rings of Round Ring Binders open and close with just the touch of a finger. Locking mechanism is engaged instantly when closed, eliminating the need for two-handed operation. Received "Ease-of-Use" commendation from the Arthritis Foundation. 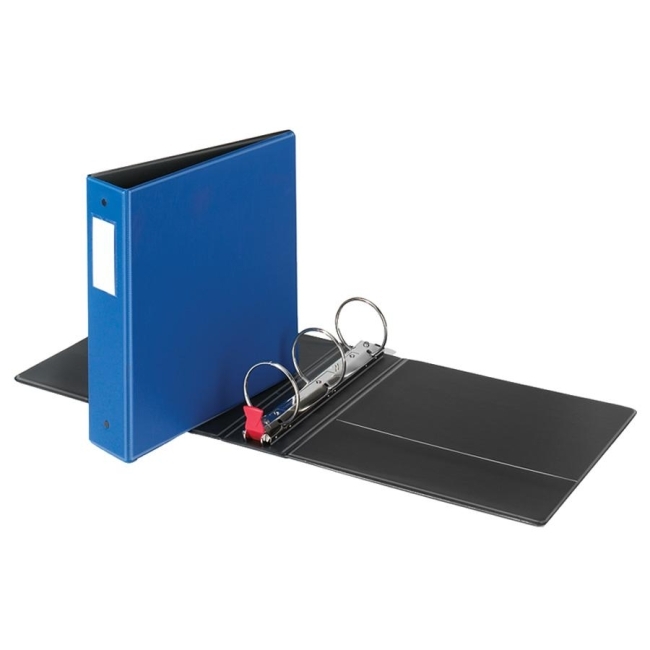 Binders work great for those with arthritis or anyone that has to repeatedly open and close binders. Binders offer attractive embossed cover material with label holders, black lining and inside pockets.